In this episode, Jürgen discusses the power of focus and how a much narrower focus in your business can deliver exceptional results. People are often reluctant to really focus very narrow, because of the fear that they might miss opportunities outside that focus area. What we talk about today, is how the opposite is true. Learn how to banish the FOMO Monster! Listen to the podcast for the details. How to banish the FOMO (fear of missing out) monster. 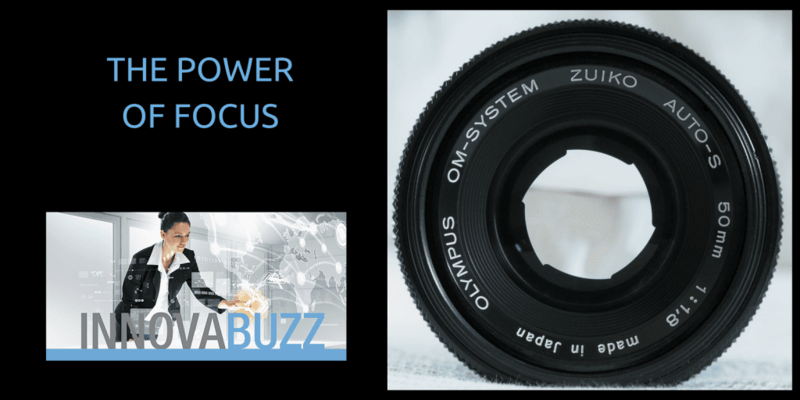 Learning about The Power of Focus in one area of your business or life and practising focus, helps you focus in other areas. The Power of Focus has definitely embedded itself in my psyche since our planning event. It’s quite amazing to me, to observe what’s going on in my mindset, in my business and in my relationship with others as a result of applying an obsessive focus to all I do. Meet Coach Sam, my ideal client . Coach Sam loves helping other businesses grow. She has big dreams and is passionate about changing the world with her knowledge and service. She is bright, positive, hard working and excited to get a digital marketing platform that will transform her business. She has a servant’s heart and likes to work with businesses that have that same compass, like we do. As you can hear – that’s getting very specific. If I’m totally honest, then somewhere in my unconscious, there lurked a FOMO monster (fear of missing out), which prevented me in the past, from narrowing down the focus. Well, that FOMO monster is now slain! With the Power of Focus you’ll see things much more clearly – you can filter out “noise” and “park” most of that in a “some day” file, with the result that the opportunities that are a great fit for your focus area get the attention that will move them forward and drive results. The Innovation Round – Lessons from Leading Entrepreneurs, which is a 4 part podcast series I’m hosting. Information Marketing – Why you must do it, another event that I’m presenting, on 14 August via Facebook Live. Seven Steps to Your Smarter Business on 28 August in Warrnambool, presented by The Business Room – Angela McDonald. Breaking Business Barriers – which is a JV workshop that I’m presenting together with the team that ran the Thailand workshop. It’s on 30 August in Geelong and it will be awesome.